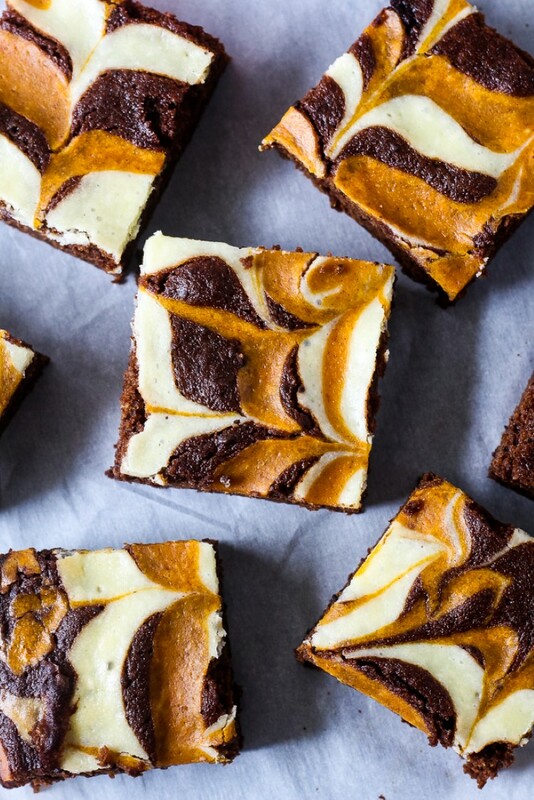 Welcome to Day 3 of Brownie Week! Today I’m sharing an easy, one-bowl cocoa powder only brownie recipe. This is the recipe you can make from scratch when you’re craving something chocolate. It will become your go-to recipe when your in a hurry. 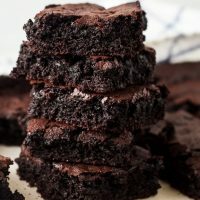 Yesterday, I posted a homemade brownie mix that is great to keep on hand, and Monday, I posted the best brownies in the world from scratch. They’re perfect for when you need something extra decadent for a special occasion. 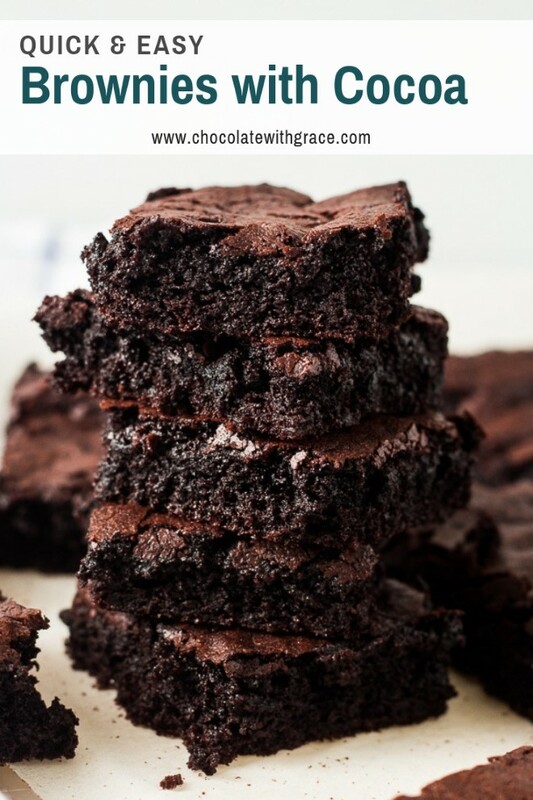 Today’s recipe is similar to the homemade brownie mix, only written for when you want brownies now and don’t wont to make mix ahead of time. What are the ingredients for a brownie? One quick note on the cocoa powder. I like to use dutch process because I think it has a richer, less sharp flavor that is more similar to what you get in a box mix. It’s also darker in color. 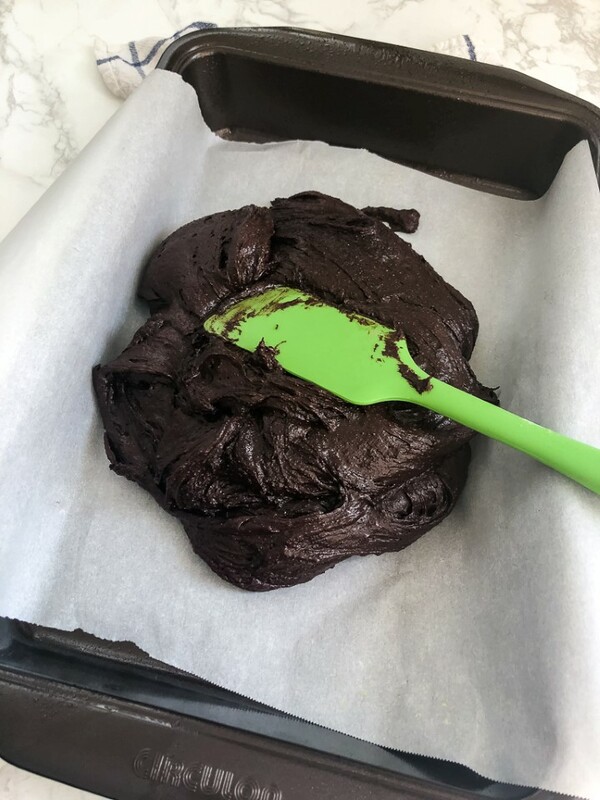 The picture below shows the color of the brownies if you use regular cocoa powder. How to make Brownies with Cocoa Powder? Add your room temperature eggs and vanilla. (Room temperature so they don’t solidify your butter back into a lump.) And beat well. I use a hand mixer on high for a minute or two here. Beating well at this stage forms that crackly signature brownie crust. Add the cocoa, flour, baking powder and soda and mix until combined. Pour into a greased or parchment lined 9 x 13 inch pan and bake at 350 F for 28 minutes or so. Ta da. 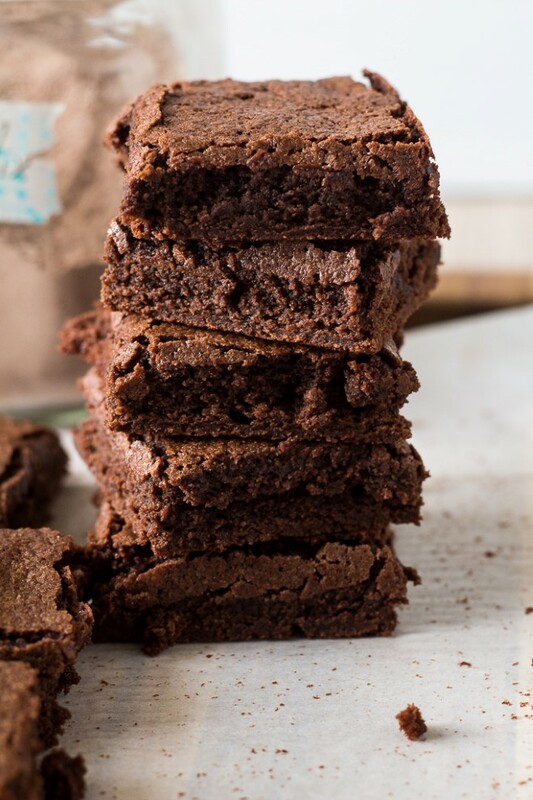 Warm, homemade, fudgy brownies. Simply spoon the brownie batter into grease mini muffin tins, filling them about 1/2 full. Then bake for about 12 minutes or so until set. 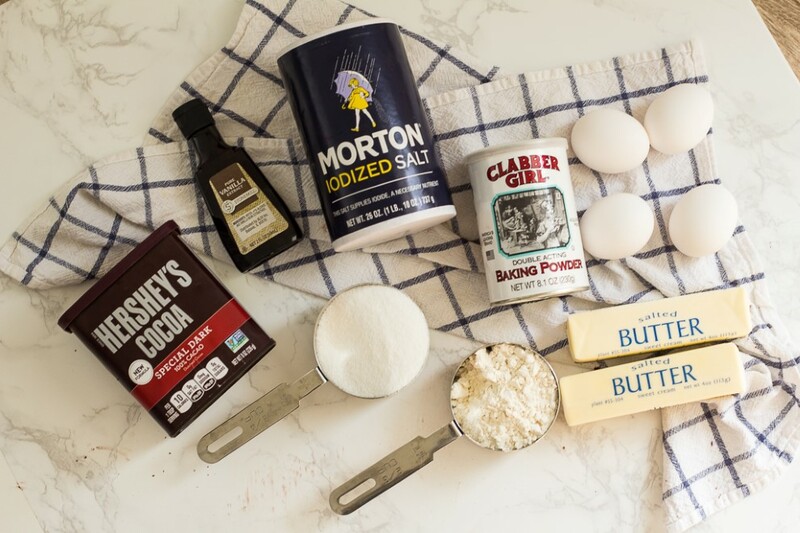 I have a great recipe for Smores Brownie Bites or Buckeye Brownie Bites. These Snicker’s Brownie Bites from Butter with a Side of Bread. 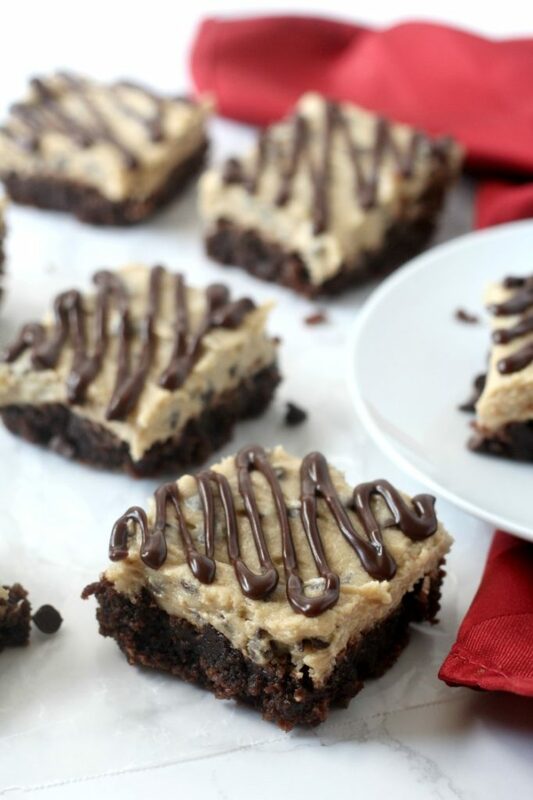 These Chocolate Chip Cookies Dough Brownie Bites from Sugar Spice and Family Life, Or these Salted Caramel Brownie Bites from Live Well Bake Often all sound delicious too! Brownie made with just cocoa powder can be rich and fudgy. This post will teach you how to make brownies with cocoa powder. They're quick, easy and only one-bowl. Preheat the oven to 350° F. In a large bowl, whisk together the melted butter and sugar. Make sure the butter mixture is almost room temperature and then add the eggs and vanilla. Beat until well incorporated. Beating in the eggs well is what forms that signa mture brownie crust on top. Add the flour, cocoa, baking powder and salt. Whisk until incorporated. Pour the batter into a greased or parchment paper lined 9 x 13 inch baking pan. Bake at 350° F for 28-32 minutes or until center is set. 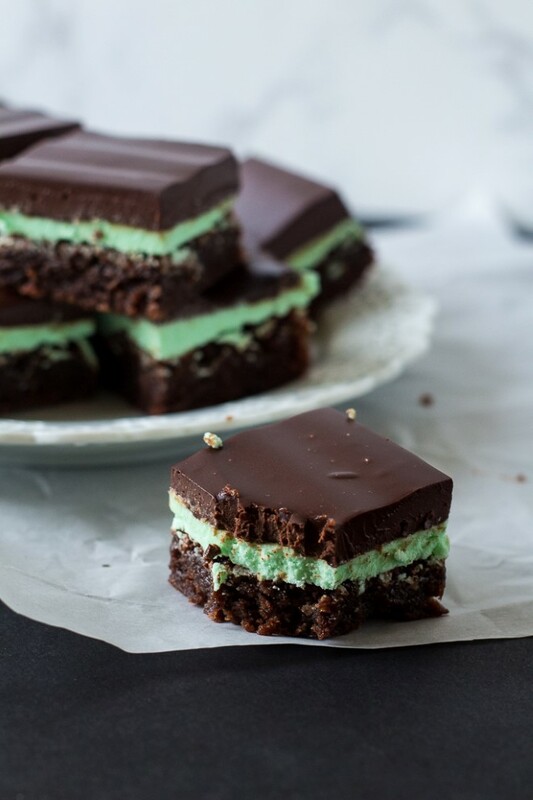 Let cool at least slightly before cutting into bars. 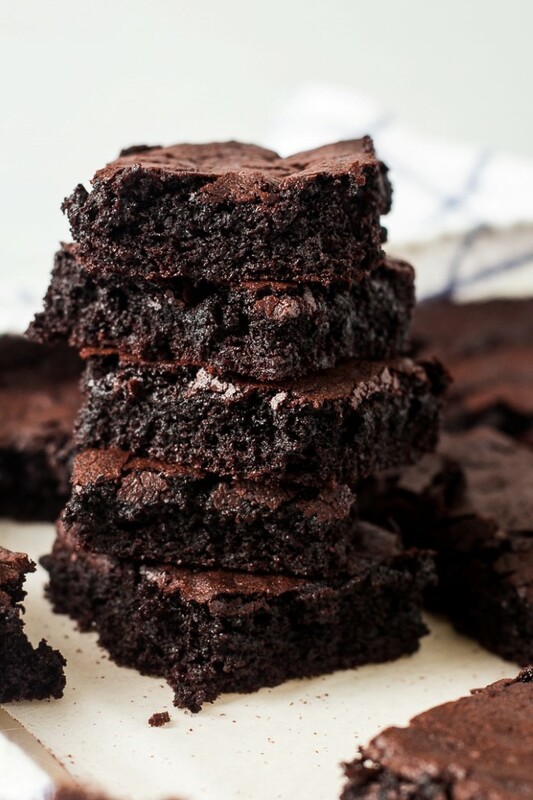 *I like to use dutch process cocoa powder in my brownies. It has a richer, deeper chocolate flavor is is much darker. I use regular cocoa powder all the time too and they turn out great. So use whichever you feel like. Here are some of my other favorite go to brownie recipes for when I want something a little more indulgent. wow these really have my mouth watering! so much better than a box!! Made these with my regular cocoa and they were amazing. I’ll have to give them a try with dutch process cocoa next time! These turn out perfect every time! LOVE how fudgey these are! Need to make ASAP!